I have taught newborn parenting classes and infant massage classes at two hospitals in San Francisco for 9 years to biological parents to be. For adopting parents the resources in the Bay area are limited although the infant massage class I teach is certainly open to adoptive parents. There is a great emphasis on the adoption piece and safety proofing the home, of course, when our families are being created and not so much on the basic parent piece. 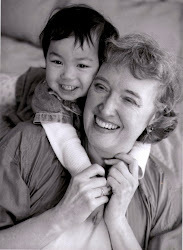 http://www.pactadopt.org/ has wonderful parenting classes and specializes in mixed racial/cultural adoption. http://www.cprfamily.com/ is a CPR class taught in Marin county by a colleague Georgia Montgomery. My 'welcome home classes' located in Mill Valley are an attempt to fill this gap in support for newly adopting parents. http://www.zerotothree.com/ is a fabulous and informative web site about child development.